Tis the season for holiday parties and with New Years Eve being only a handful of days away, now is the time to glam up your going out look! Growing up I always loved to experiment with makeup – eye shadow colors, eye liner techniques, blush (lots of blush, ha!). I’m slightly more reserved now, but I still enjoy getting all dolled up for a fun night out. 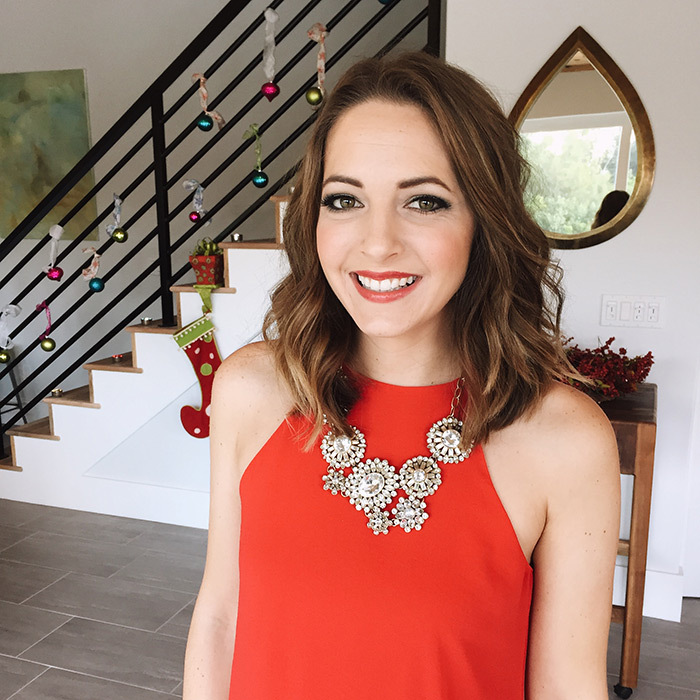 There is nothing more inspiring for your makeup look than hanging out with a makeup artist – seeing her latest beautifying projects, and collaborating on a fun/easy way to take your look from everyday to glam in just a few simple easy steps. 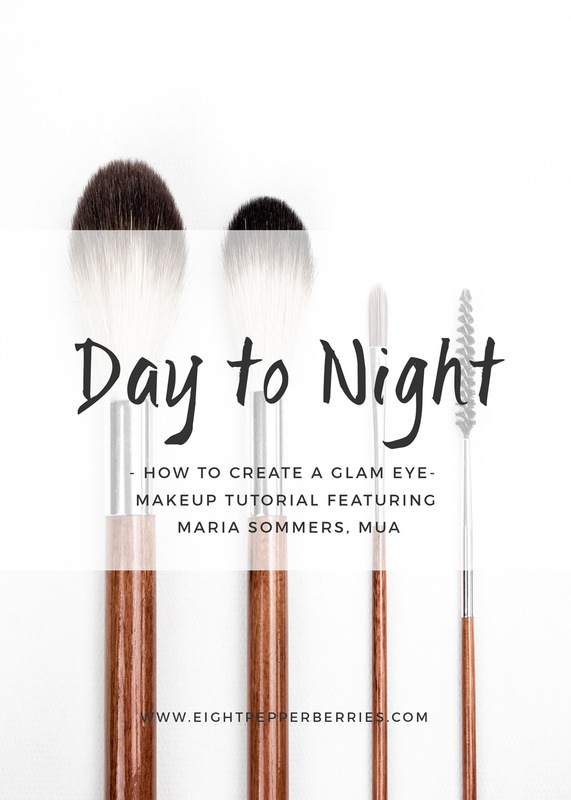 Today make up artist, Maria Sommers, is going to show you how to create a glam eye using the same products you used to get ready for the day – with the addition of a little shimmer. 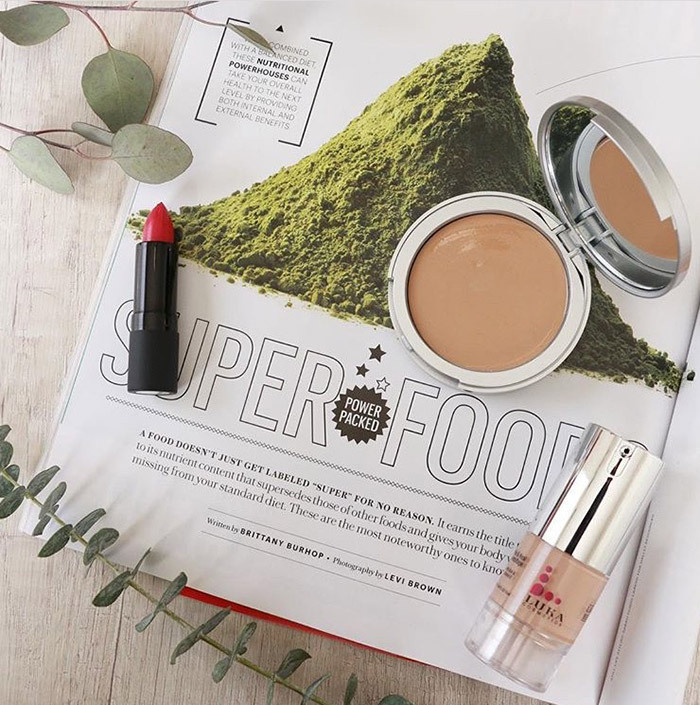 Maria has a passion to use top quality makeup with ingredients that are good for your skin. Her go to’s are Luka Cosmetics and Jane Iredale. I’ve collaborated with her on a couple of projects – like the Sun & Moon costume tutorial – and always enjoy to the make up looks she creates. We’re two girls who love makeup and dressing up so we knew we had to collaborate this holiday season on a glam look. But for as much as I love makeup, I don’t like spending a ton of time on my makeup routine. Thankfully, Maria showed me how you can use the base makeup you have, add a little here and there, and be ready for the night. Focus on your eyes and you’ll feel like a bombshell. We made a quick video showing you how to take your look from day to night in a few quick, easy steps. I’ll apologize now for my awkward glances and stares, ha! I hope that this inspires you to break out and try something new with your look. And shimmer eye shadow? You can never go wrong with a little glitz! Looks great. Glam but still natural! Thank you Cindy! Just a little bit can add that special glitzy touch!